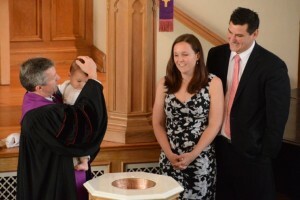 Children whose parent(s) is ready to reaffirm their faith, make promises to raise their child in the knowledge and love of God, and participate actively and responsibly in the worship and mission of the church may schedule a date to be baptized at DPC. Also, all youth and adults who are ready to profess Jesus Christ as their Lord and Savior are welcomed to be baptized in our regular Sunday morning worship. Please contact our Program Secretary to schedule a time to speak with one of our pastors and a baptism date. In the Presbyterian Church, a Christian service of worship, publicly witnessed and acknowledged by the community of faith. One of our pastors ordinarily officiates at all weddings held at DPC. All music and readings selected for the service offer glory to God who sanctifies the gift of marriage. Please note that DPC ministers to members and their families for weddings and on occasion to non-members, if the non-members are genuinely looking for a church home or have some other compelling reason to be married at DPC. DPC does not “rent” the sanctuary or chapel for non-church related wedding services. 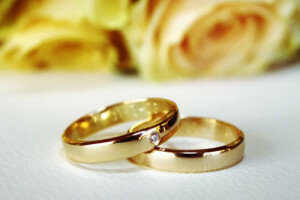 Our Wedding Policy and Wedding Reservation Request are available for you to review. Whenever possible, when a member of the congregation dies, a Service of Witness to the Resurrection of the Lord is held in the sanctuary or chapel of Decatur Presbyterian Church. Ordinarily, the ministers of the church meet the family for a brief committal service at the Memorial Garden or cemetery prior to the primary service held in the sanctuary or chapel, which is open to all. Decatur Presbyterian Church maintains the Charlotte Rife Rowell Memorial Garden for the sake of interring ashes of those deceased. 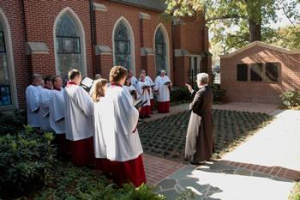 This beautiful garden became a permanent part of the church's ministry in the fall of 2007 when the garden was dedicated to the glory of God in memory of a dear member of DPC.